After being raised in a small town in Maryland, Shobhit Kumar had the opportunity to attend an international high school in New Mexico called United World College (UWC), where the majority of the students are international. While there, he was exposed to many foreign cultures for the first time. UWC is also where he first learned about NSLI-Y from peers. His decision to apply to learn Chinese was influenced by his Chinese friends at UWC; although they were close friends, he still felt a cultural gap. He concluded that studying in China to learn more about the language and culture would be the best way to deepen their relationships. Shobhit participated in NSLI-Y in the summer of 2014, just prior to his first year at Princeton. When he arrived in China, he spoke no Chinese. At first, he found the language extremely difficult and felt out of place in this new environment. He found inspiration, however, in an American program staff member who assisted their group upon their arrival. This staff member’s ability to speak fluidly with native Chinese speakers left a lasting impression on Shobhit, encouraging him to believe that, while learning Mandarin was challenging, it was possible. Because Shobhit’s host family did not speak English, they could only communicate in Chinese. Shobhit believes that, “languages are the gateways to culture.” He connected with his host family and learned the language through many different means, especially music. 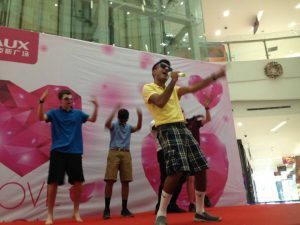 At his school in the U.S., Shobhit loved to sing, and was a member of an acapella choir. In China, his host family taught him Chinese songs, which he performed at a wedding and at a public cross-cultural performance organized by NSLI-Y. He also took advantage of opportunities in everyday situations to get to know people in the community. Within the first few weeks of the program, he had enough proficiency in Mandarin to carry on basic conversations, order food at restaurants, give directions to taxi drivers, and talk about his feelings. Nearing the end of the program, Shobhit began to have dreams in Chinese. His advice to future NSLI-Y participants is: “In the first few weeks, absorb as much as you can but realize that there is more you need to learn before things really come together. 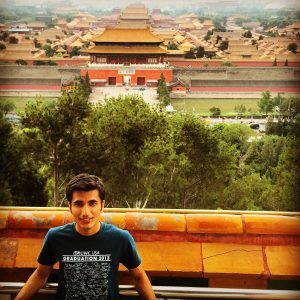 Don’t let the first part get you down.” By the end of his program, Shobhit felt very comfortable in Chengdu and speaking Chinese. Shobhit learned from his time with NSLI-Y that speaking and interacting with others from different backgrounds and cultures can be very fulfilling and enlightening. “Cultural exchange is important for individuals and the future of our world,” Shobhit says. 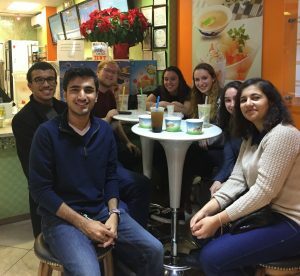 Shobhit says his experience with NSLI-Y served as the spark for his interest in China, its politics, language, and culture. 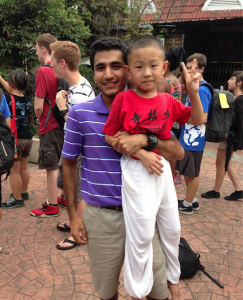 “NSLI-Y really directed and focused my interests in China, a region that has historically been under-studied and under appreciated in the United States because of wide language and culture gaps.” Now a junior at Princeton University, Shobhit studies Public and International Affairs in the Woodrow Wilson School and is minoring in Diplomacy and Chinese Language and Culture. He has returned to China twice since NSLI-Y, taking classes at Beijing Normal University after his freshman year and teaching English at a rural university in Hunan Province the following summer. He later studied abroad at Oxford University, where he focused on U.S.-China diplomacy. He believes that understanding China’s culture and language is critical for constructive diplomacy. In addition to his studies, Shobhit served as a NSLI-Y Alumni Representative in 2015. Alumni Representatives lead the NSLI-Y Alumni Association and are responsible for engaging NSLI-Y alumni in their region. They plan events and provide information about opportunities for alumni to continue language learning, explore career options, participate in professional development, network with NSLI-Y and other Department of State sponsored exchange alumni, and promote global understanding through community service and NSLI-Y outreach. Shobhit is excited to pursue a career as a Foreign Service Officer, and he stresses the importance of public service in our world today. He urges NSLI-Y alumni and other young people to consider this career path. “Today, more than ever, we need very capable, determined, and hard-working people entering public service oriented careers[…]We need people to come in and tackle critical issues, which may seem daunting at first, but can be resolved with the right people at the negotiating table.” He believes public service careers have the potential to make the greatest impact on the world and on future generations. Did you take Chinese lessons prior to coming to China?